Can I get a band 8 if I made a repeated grammar error? So, I was aiming for a band 8 for the written part but, because I was very nervous, I made a stupid mistake: I wrote 30 millionS instead of million (task 1). Problem is, I wrote it that way for all figures in the graph. It was my one and only mistake, but it was a repeated one, same mistake over and over. How much do you think they could penalize me for this? And, overall, what would be the impact of this on my general band mark for writing? That is a grammar / lexis issue but your band score for these criteria will depend on how many other errors you did or didn't make (I know you said you didn't make any others but how can you be sure?). If you did that all the way through with all the figures it may be judged as more than occasional or rare, thus giving you a 7 (not overall 7, but for that criteria). But as I said, we don't know what the rest of your grammar was like, or how many times you did this. If it was just a few times, you could still feasibly get an 8. Also, if you got 9 for all the other criteria it could push your score up anyway. So it is really not possible to know for sure so you will have to wait for your result. Please I want to find out how to write a complex sentence and put appropriate punctuation marks without making mistakes? Do I say "that" too many times in my essay? I am really confused because one of the ielts 8.0 candidates looked at my essay which writing style is instructed by my tutor and said that it was totally wrong because i repeated many "that". I am planning to take the exam next month so please help me read and give your comment. I do appreciate it. Thank you. In recent years, many parts of the world have witnessed the fact that the health of their citizens is deteriorating due to poor diet. While some people claim that community health care is the government’s responsibility, it is argued that single individuals should consider their eating habits and lifestyle. Both sides of this issue will be analyzed before a reasonable conclusion is offered. Supporters hold their view that it is people's obligation to pay attention to their health. The first and obvious reason is that health is one of the most valuable possessions of humans that cannot be bought or exchanged. In fact, many concerns are raised by the National Health Care Service because more and more young people are suffering serious diseases like diabetes, strokes, cancers… Additionally, it is undeniable that people have complete free will to decide what food they eat, what exercises they do. Therefore, it is better for them to choose the most appropriate one in order to stay healthy. Components, however, claim that it is the government’s job so as to ensure their metropolitans’ health. First of all, the government is the headquarter which has the highest function and authority to control food quality. There is no denying the fact that every nation has their own functions which examine and analyze imported commodities, including food with the purpose of safety use. Last but not least, local authorities can gain some financial benefits by keeping their inhabitants healthy. If their dwellers are in a healthy condition, less money will be spent on finding cures for diseases and they can contribute more efficiently to the economy. In final analysis, I am in favor of the former. I believe that it is crucial and necessary for people to be in charge of their health; nevertheless, governments should cooperate to cope with this situation. Comments for Do I say "that" too many times in my essay? I wouldn't agree. I think that in most cases you have needed to use it to express your ideas so it is ok. It doesn't really feature at all in the last parts of each body paragraph. "The first and obvious reason is that health is one of the most valuable possessions of humans that cannot be bought or exchanged". Most of your 'that's are noun clauses so you have to use 'that'. But in this case the second one is a relative clause so you could use 'which' instead. This will look better so you are not repeating yourself. "The first and obvious reason is that health is one of the most valuable possessions of humans which cannot be bought or exchanged". 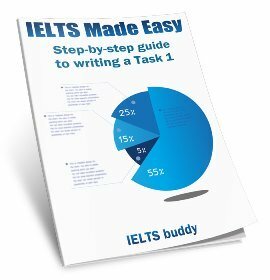 Do I say "that" too many times in my IELTS essay? Thank you so much for having a look at my essay. It would be grateful if you could score it. I need to score 7.0 overall,and at least 6.5 for writing. Many thanks. I don't give scores but I'd say you should be ok if you do something similar in your actual test. There are some minor grammar issues you need to work on but you'd need a writing teacher to point these out. I can't make comments on the whole essay but a very noticeable mistake is the word "components". This looks very odd. I think you mean "Opponents". Which tenses are common in IELTS essays? Which tense do we frequently use when we're writing the IELTS essay? 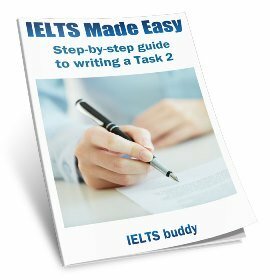 Comments for Which tenses are common in IELTS essays? It is actually quite common to use the present simple and present simple continuous for the IELTS Task 2 essay as we are discussing facts that (we believe) are true and things that are happening in the world at the current time. Take a look at some model essays and you will spot this. However, it is dangerous to think you can get away with just learning one or two tenses as you will very likely need others too in order to express your ideas coherently and accurately. 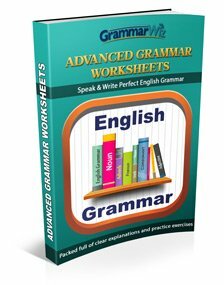 You'll also see other tenses used in the model essays such as present perfect, past simple and the future tenses. 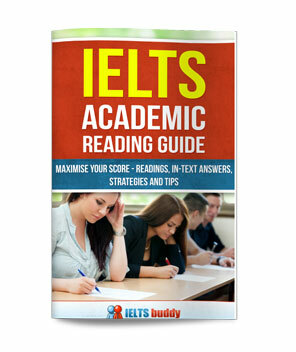 So you really need a good rounded knowledge of them all to achieve a good IELTS writing score. Can you check my paraphrasing? Origin: Some people think that the government is wasting money on the arts and that this money could be spent elsewhere. Synonym: The government is squandering money on the arts, so this money should be spent on other things. Origin: Art is considered an essential part of all cultures throughout the world. However, these days fewer people appreciate art and turn their focus to science, technology and business. Synonym: Art is viewed a particular part of all cultures throughout the world. Nonetheless (unfortunately), nowadays fewer people understand (are sensed, are aware) art and turn their concentration to science, technology and business. Comments for Can you check my paraphrasing? Hi... It's very helpful to learn step by step with synonyms. I really appreciate your works here. Thanks for sharing this. What are some synonyms for "In fact"? Can you please tell me some synonyms for "in fact" to use in the task 2? Comments for What are some synonyms for "In fact"? You always have to be very careful with synonyms as they cannot always directly replace the word you have. Even though they have the same meaning, they may be used in a different way in a sentence. But these are possibly synonyms of 'in fact'. The informal ones I've pointed out too, but they would not really be suitable for an academic essay. I had my IELTS exam about ten days ago and in my writing task 2 I was a bit anxious. Therefore, I forgot to write the articles (a,an) before many words, such as (employee can save money) I missed 'an' before the word 'employee'. In a nutshell, I just necessarily wanna know whether it will effect my writing score much since I don't think I have any mistakes regarding task response, coherence and cohesion etc. It is quite likely something like that would affect your score because they are grammar errors and you are marked on your grammar. It's really impossible though to say if it was so noticeable that it could have actually led to a lower band overall because I'm sure there were other grammar issues even if you think it was perfect apart from that. The examiner would take all your errors into account and decide what score you should get for 'grammatical range and accuracy', not just the problem with articles. So it's really impossible to say the kind of impact it may have had. I just took my IELTS test, and I was about to write "availability" but I don't why I ended up using "disponibility". Maybe because it is commonly used in French. Is that word accepted in the English language? Really you are misunderstanding how the grading works. You don't get marks knocked off for one vocabulary mistake. You are assessed over the whole essay. "may produce occasional errors in word choice, spelling and/or word formation". So if you have occasional errors then the examiner will be thinking of a band 7 (though there are other aspects of lexis that are looked at when deciding a score). So as you can see, it's not a case of one error affecting a score. It's more complex than that.